HONOLULU — For most people, a Christmas Eve phone call with the first lady of the United States is an unexpected surprise. But Austin was holding out for someone else. "I want to hear Santa talk," said Austin, one of a handful of kids who called the NORAD Tracks Santa program on Saturday and found Michelle Obama on the other end of the line. Santa couldn't get to the phone, the first lady patiently explained, "because he's delivering all the gifts" — 3 million as of late morning in Honolulu, where President Barack Obama and his family are on vacation. There was a bittersweet note this year as the first lady carried out her annual Christmas ritual for the final time, taking calls from kids who wanted to know exactly how much progress Santa had made on his journey. It'll be up to the next first lady, Melania Trump, to decide next year whether to continue the tradition. 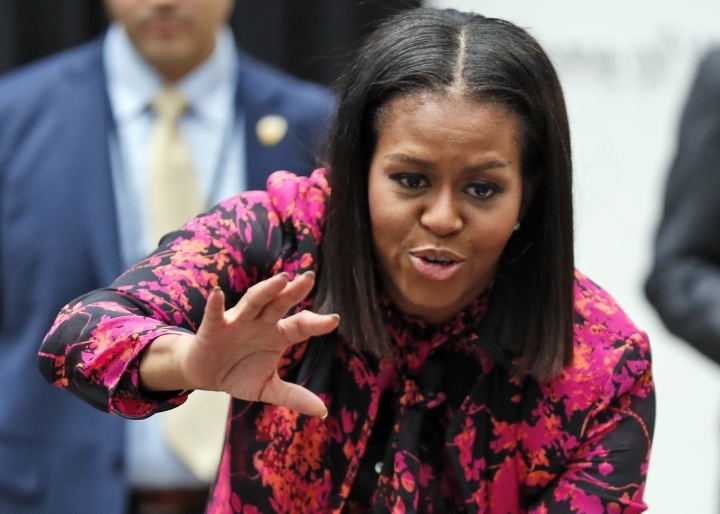 The first lady spent roughly a half-hour taking calls before joining her husband, daughters Sasha and Malia and family friends for lunch at Side Street Inn, whose greasy food and low-key atmosphere is popular among Hawaii locals and tourists alike. Then the family drove to Breakout Waikiki, a "live action" experience where visitors are "trapped" in a room and must work together to break out. Dan Lin contributed to this report.